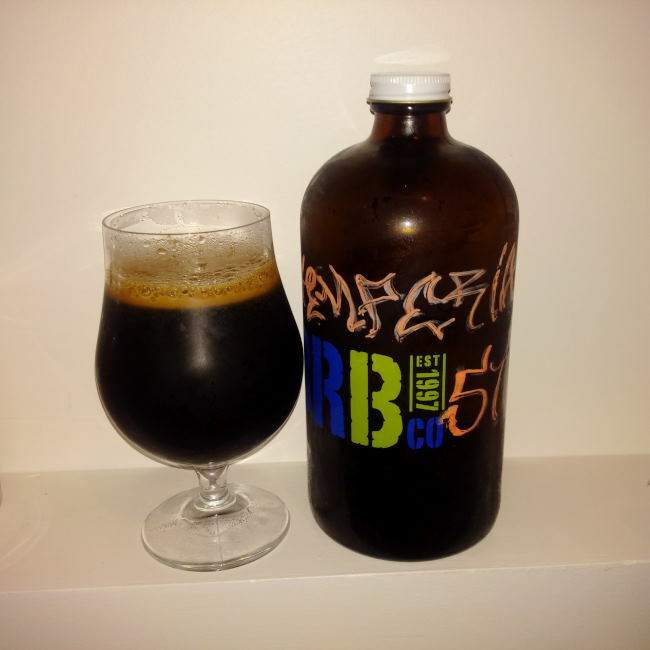 From Richmond BC’s Big River Brewing Company located inside the Zone Bowling Centre comes their “Chimperial Stout” a Chipotle Imperial stout. The beer pours an opaque black with a brown head. The aroma consists of roasted malts, smoke, sweetness and a hint of spice. The flavour is of chipotle, roasted malts, smoke, a hit of chocolate and some earth and bitterness. The alcohol content comes in at 10% with an IBU of 40. This beer is very interesting to be sure. I love spice but not always in beer but this one seems to get the best notes from both an Imperial Stout and a chipotle spice. 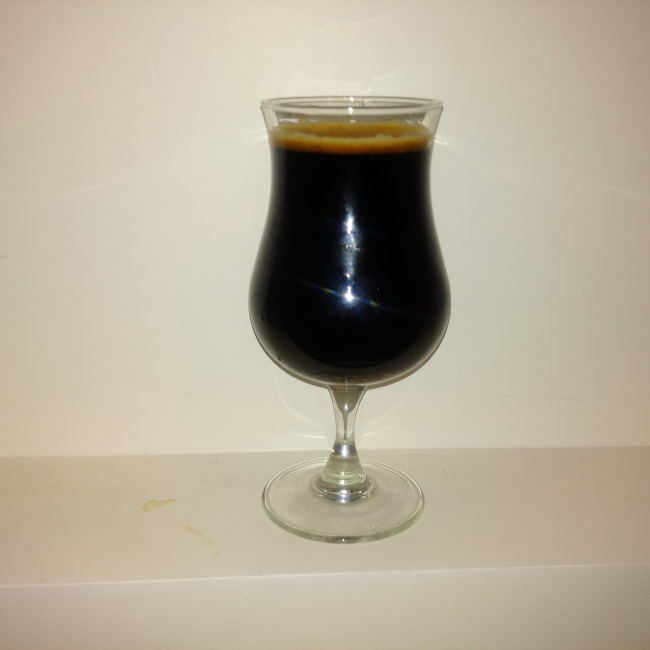 Commercial Description: A big imperial style stout with Chipotle peppers added. The smoke mingles nicely with roasty stout which gives way to a slow burn that comes from the peppers and the high alcohol. Brilliant when paired with any cheese! 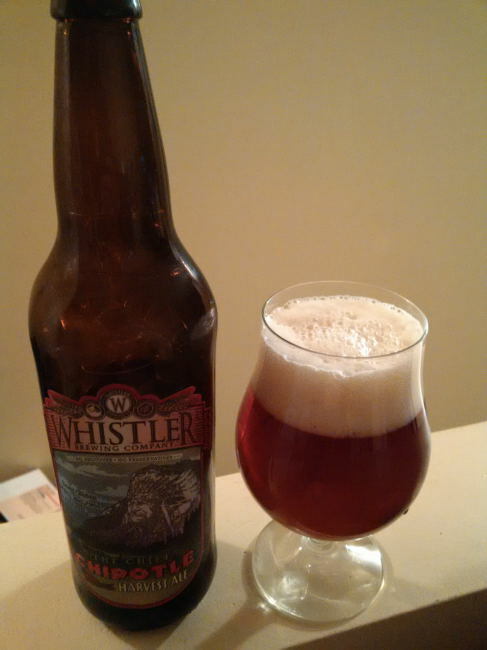 From Whistler Brewing out of Whistler BC comes the “The Chief Chipotle Harvest Ale”. This spiced ale pours a deep amber colour with an off white head. The aroma consists of caramel, malts, and some floral hops. The flavour is of caramel malts, toasted malts, some earthy hops bitterness with a mild spicy finish from the Chipotle. The alcohol content comes in at a standard 5%. 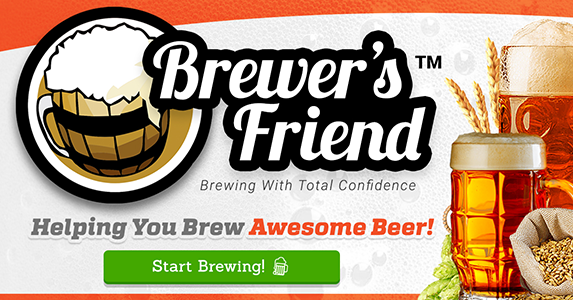 There is no consensus with beer nerds on this beer. I personally quite liked the beer as I found that the chipotle acted almost like an extra hops bitterness instead of a really spicy warmth I expected. 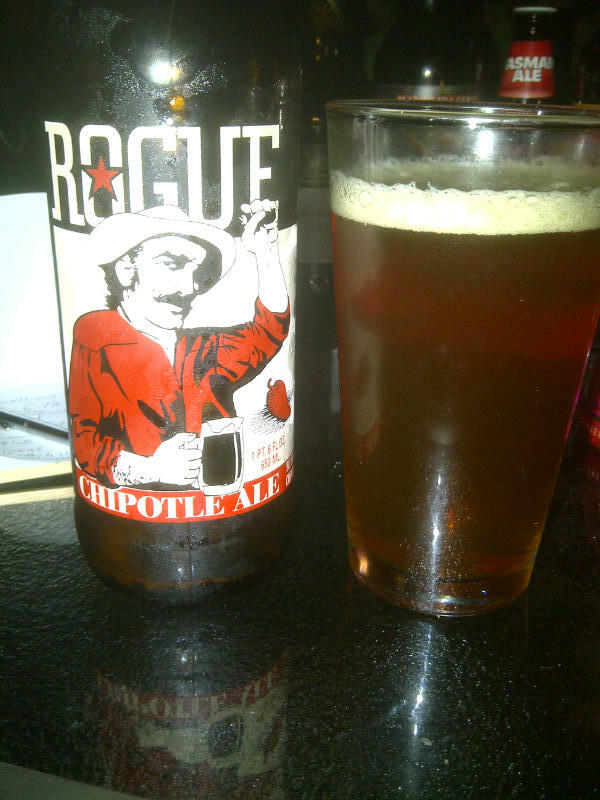 From Rogue Brewing out of Oregon comes the “Chipotle Ale”. I had high hopes for this beer. The beer pours slightly cloudy orangey amber with a small off white head. The smell of the beer is of citrus, paprika, smoke and possibly smoked ancho chillies. The taste of the beer was not spicy at all not one bit. The beer tasted quite smoky with an almost artificial chipotle flavor and maybe even some wax. The beer was not amazing and we did not finish our glasses of the beer. Not all beer produced can be good and every good brewery (ie Rogue) deserves a Mulligan once and a while. As a note this beer has an alcohol content of 5.2% with an IBU of 35.